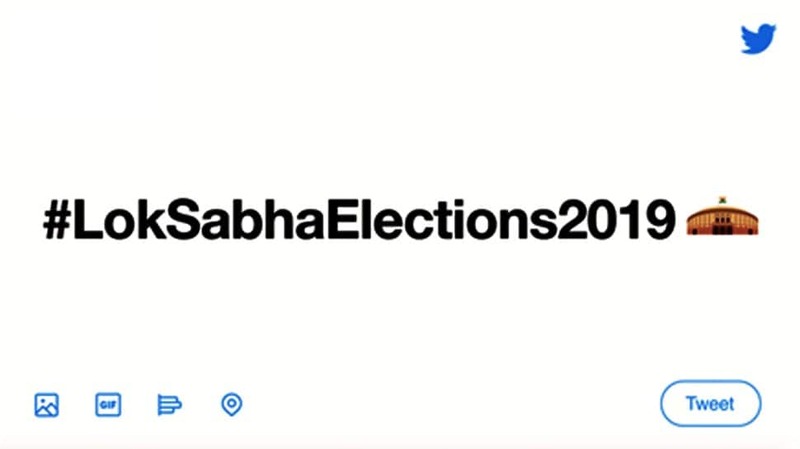 NEW DELHI: As the world’s largest democracy goes into elections in less than a month, Twitter India launched a special Lok Sabha poll emoji aimed at encouraging healthy participation in election-related discussions and encouraging more people to go out and vote. The emoji, featuring an image of the Parliament of India, will be available in 12 languages – Hindi, English, Bengali/Assamese, Gujarati, Kannada, Malayalam, Marathi, Odiya, Punjabi, Tamil, Telugu, and Urdu. It will be accessible to Twitterati till May 31, 2019. “By introducing the emoji, Twitter India hopes to make it easier for Indians across the world to join the election conversation on its platform. Available now until 31st May 2019, the emoji features a panoramic colored illustration of the Parliament of India. People can Tweet in Hindi, English, Bengali/Assamese, Gujarati, Kannada, Malayalam, Marathi, Odiya, Punjabi, Tamil, Telugu, and Urdu,” says Twitter. Twitter also welcomed the debut of EC’s Systematic Voters’ Education and Electoral Participation Program’s (SVEEP’s) on its platform. “The Election Commission of India’s Systematic Voters’ Education and Electoral Participation program (SVEEP) on Twitter (@ECISVEEP) is set up to raise more voter awareness through the platform. The handle was launched on Holi and one of their first campaigns on Twitter #DeshKaMahaTyohar is about ensuring no voter is left behind,” said the microblogging site. The Election Commission of India has implemented stringent measures on social media platforms, asking them to deploy “appropriate fact checkers” to scan fake news, tackle the use of abusive language, issuing guidelines on political advertisements and many more. “As we move closer to the 17th Lok Sabha election in the country, we are committed to ensuring fair administration of the electoral process, by equipping India’s voters with accurate and adequate information to make their choice. We are proud to extend this commitment with the launch of our new handle on Twitter,” said Umesh Kumar Sinha, Deputy Election Commissioner. “@ECISVEEP would allow us to further the aim of building a stronger democracy, by encouraging all eligible citizens to be aware and active in the voting process, thereby maintaining and enhancing the sanctity of the electoral process. It’s our wish and hope that all voters will participate in the coming national election 2019 in an informed and ethical way,” he added.